We have a complete range of PID controllers to suit every need, whether the application is temperature or process controlled, we have the right controller to meet your exact requirements. The TC MI FL series of mineral insulated thermocouples comprises of a range of high quality multi purpose probes. 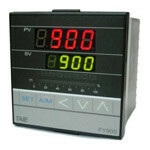 CD Automation offers a PAX lite current loop meter with AC and DC powered options. CD Automation can provide the right power line filter solution for all applications requiring EMI filters, AC filters, DC filters, single phase filters, three phase filters, IEC inlet filters and PEM or power entry module filters. For constant resistance loads up to 700A, single or three phase, we have the right solid state relay to meet your exact requirements. This company supplies Products & Services in the Electrical, Instrumentation & Control industries.